Creative ingenuity meets French art de vivre in this luxury Hamburg hotel which rests by a quiet canal in the historic German citys heart. Inside the 5-star hotel in Hamburg taste international dishes at Ticino Restaurant and linger with a drink on the sunny canalside terrace. Our Seagull Spa is a destination for those who wish to experience a world of soothing relaxation. Please join us for a Magnifique voyage through modern Hamburgs dynamic cosmopolitan life which flows to its own dynamic rhythm yet blends elegantly with French art de recevoir. Life is Magnifique in Hamburg.. Relax in the sauna or enjoy a relaxation bath with milk and rose petals. The colorful Seven Heads bar offers skillfully mixed cocktails and views of the canal. 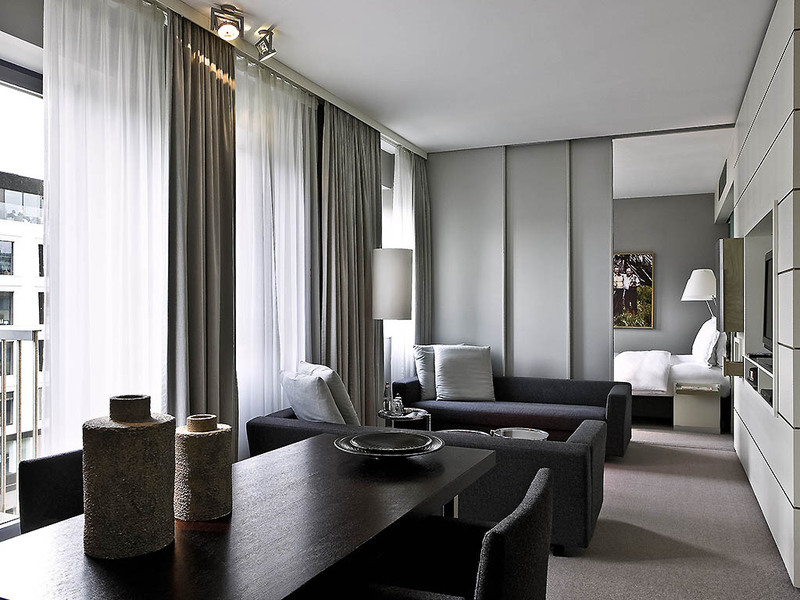 Located in the heart of Hamburg, this elegant hotel is found between the Alster lake and the River Elbe. Each Sofitel is its own unique blend of French art de vivre and local finesse. 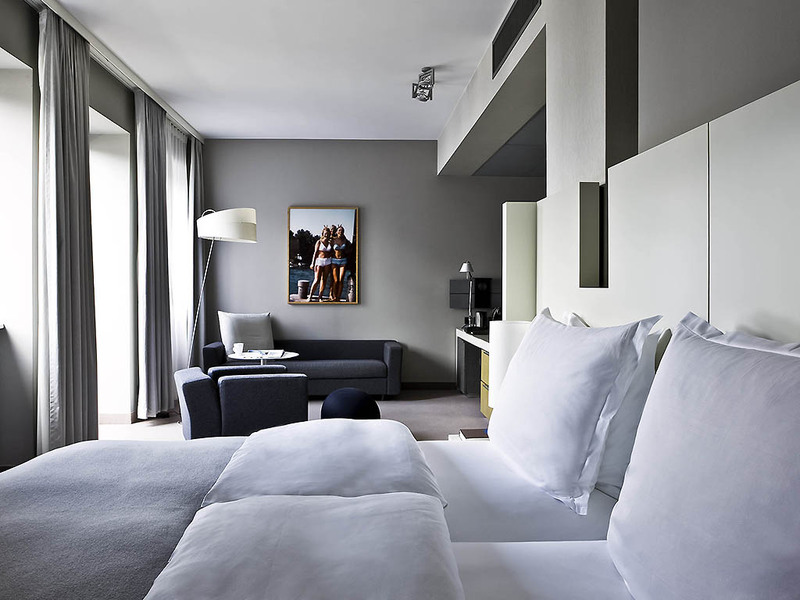 Situated on the peaceful Alster canal, the Sofitel Hamburg Alter Wall offers 5-star comfort at the historic heart of the port city, among boutiques, theaters and nightlife. Experience a bold mix of luxury and purism, high-end functionality and contemporary decor. Polished concrete is reminiscent of Hamburg's industrial past, while Carrara marble and abstract art exude French elegance. Enjoy warm hospitality and exquisite regional and Mediterranean cuisine in the stylish, glossy interior of the Ristorante Ticino. Surrounded by shades of blue and gray, you can sample specialties such as the traditional Hamburg "Pannfisch". After a busy day of exploring, the Seagull Spa offers a restorative oasis of relaxation. Enjoy a feel-good Thai massage and the calming, earthy jatamansi aroma in the treatment rooms with elegant teak and marble accents. Hamburg is a cosmopolitan city full of flair, innovative spirit and a modern outlook. The city is crisscrossed by picturesque rivers and canals, with over 2400 bridges. But nature is also very much a part of the cityscape, with its many parks. 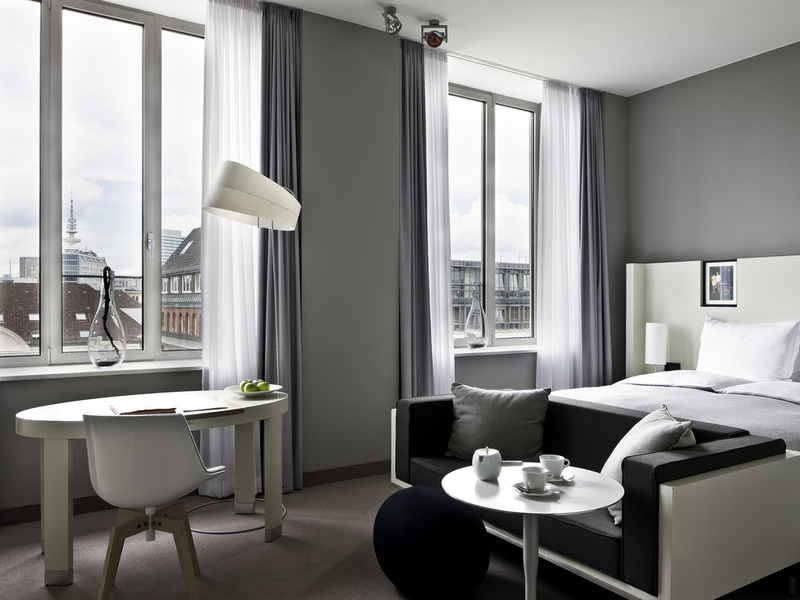 A central, 5-star hotel in Hamburg, Germany near Alster Lake and steps from Hamburg City Hall (Rathaus). Convenient to Stadthausbrücke S-Bahn station and Rödingsmarkt U-Bahn station, nearby find Hamburg's leading cultural, historic, and shopping areas. By car via A1, take Elbbrücken bridge following signs for Zentrum. Follow Amsinckstr, Willy-Brandt-Str. At the lights before Rödingsmarkt, turn right twice onto Großer Burstah. At Hamburg Chamber of Commerce, left on Adolfsplatz and left onto Alter Wall. 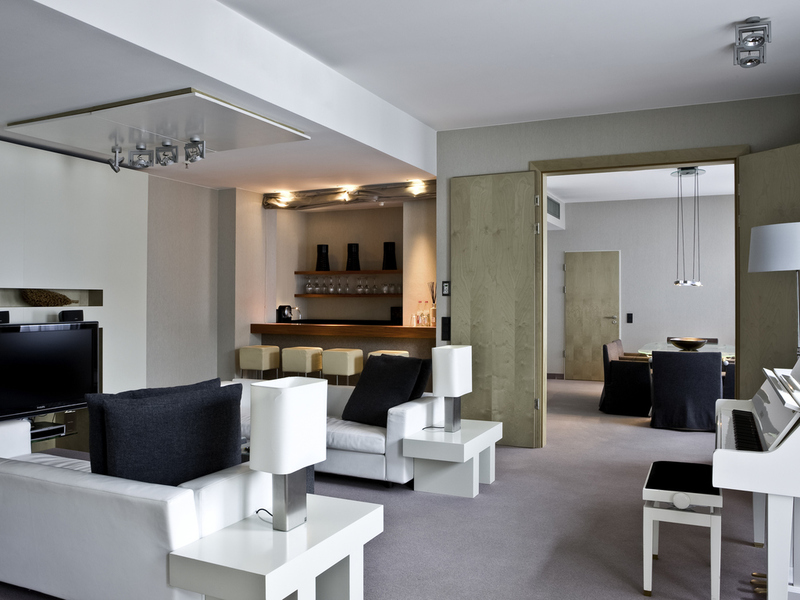 Reserve one of 18 exclusive Hamburg hotel suites for spacious living areas and canal or city views. Luxurious décor is enhanced by Nespresso machines and marble bathrooms with Hermès lotions. 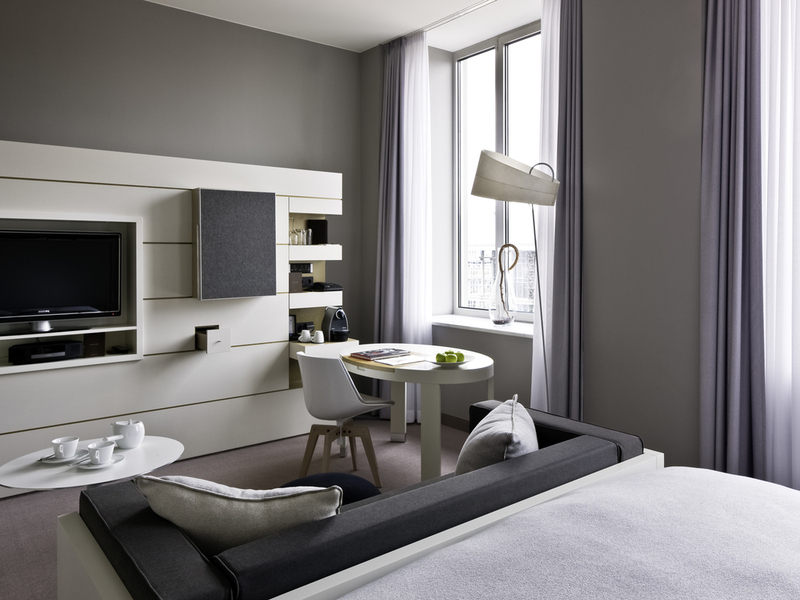 Junior Suites are ideal Hamburg accommodation for families. 301 sq. ft. (28 m²), city view, Sofitel MyBed King Size double bed, flat-screen TV, Bose Wave radio, air conditioning, marble bathroom with raindance shower or bathtub, Lanvin toiletries, free WIFI. 301 sq. ft. (28 m²), canal view, Sofitel MyBed King Size double bed, flat-screen TV, Bose Wave radio, air conditioning, marble bathroom with raindance shower or bathtub, Lanvin toiletries, free WIFI. 355 sq. ft. (33 m²), canal or city view, Sofitel MyBed King Size double bed, 10 ft. (3.2 m) ceiling, Nespresso machine, flat-screen TV, Bose Wave radio, air conditioning, marble bathroom with raindance shower and bathtub, Lanvin toiletries, free WIFI. 450 sq. ft. (43 m²), canal or city view, Sofitel MyBed King Size double bed, Nespresso machine, flat-screen TV, Bose Wave radio, air conditioning, marble bathroom with raindance shower/bathtub, Hermès toiletries, free WIFI. 630 sq. 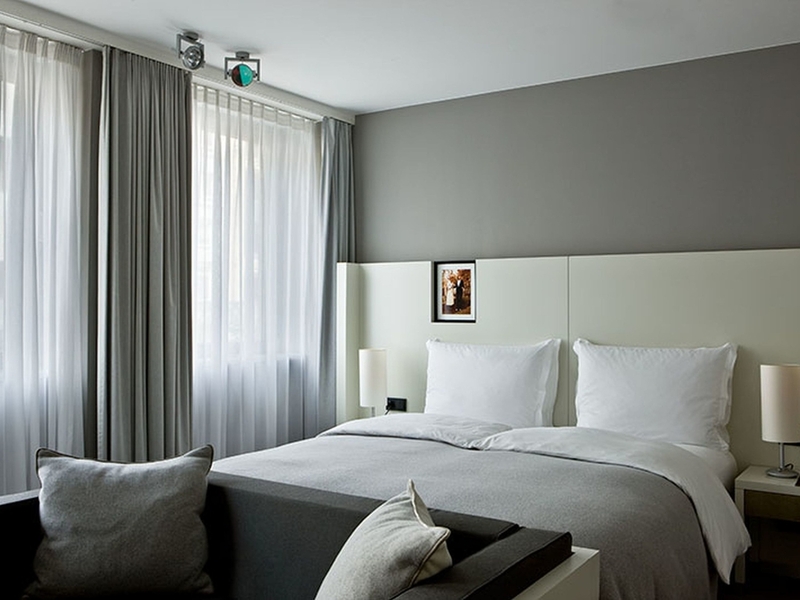 feet (60 m²), Sofitel "MyBed", Nespresso machine, 2 flat-screen TVs, Bose Wave radio with iPod docking station, air conditioning, mineral water, marble bathroom with raindance shower and bathtub, Hermes toiletries, free WIFI. 1690 sq. feet (157 m²) Sofitel "MyBed", 3 flat-screen TVs, Bose Dolby Surround Sound system, Nespresso machine, air conditioning, living room, dining room, kitchenette, study, sauna, marble bathroom, Hermes toiletries, free WIFI. Treat yourself to a cozy, luxurious breakfast in bed with freshly baked bread and eggs prepared to your liking, or enjoy home-made apple strudel with Bourbon vanilla ice cream - our room service will fulfil your every wish around the clock. In the morning, our restaurant Seagull offers you a varied breakfast buffet to provide you with a relaxed start to the day. Later on, let us spoil you with a culinary experience featuring fine food and wine at the Ristorante Ticino. Our colorful Hamburg bar and lounge offers an expansive selection of specialty cocktails, fine wines, and spirits. The only bar in Hamburg with outdoor seating on a summer terrace directly on the Alster canal. Enjoy French pastries and live cooking at the buffet breakfast at the Seagull restaurant. People love to meet on the canal terrace for a relaxing lunch or an aperitif in the evening. Ticino offers wines that are perfectly matched to international dishes made using seasonal ingredients. The Sofitel Hamburg Alter Wall hotel is the ideal hotel for your conferences, meetings or Christmas celebrations in Hamburg, with space for up to 400 guests. Our meeting room provides the perfect setting for small gatherings of up to 10 people. Our 19 meeting rooms in Hamburg feature natural light, air-conditioning, the latest conference technology and WIFI, and can be arranged to suit your needs. These rooms combine comfort with functionality and a modern design. A business center is at your disposal and your Sofitel Magnifique Meetings concierge is on hand to help plan and host meals, breaks and leisure activities for meetings, celebrations, seminars and conferences in Hamburg - all tailored to your requirements. The Seagull Spa is an oasis of rest and relaxation. On the way to the main pool, guests swim through a canyon with waterfall. Highlights: sauna, fitness studio, massages and beauty treatments. The impeccable, welcoming service at this 5-star hotel in Hamburg includes free WIFI, Clefs d'Or concierge service and a currency exchange office. We are a family-friendly hotel and offer a babysitting service on request. Pets are welcome. Discover the maritime charm and the many sides of the Hanseatic City of Hamburg: Walk through the Treppenviertel and Speicherstadt districts, or take a boat trip at the port or on the Alster river. Hamburg is an unforgettable experience all year round. Follow the curved, sparkling water pathway that flows into the heated indoor swimming pool with its waterfall and relax in the peace and serenity of a luxurious wellness oasis with mosaic walls that will help you to forget time and space. Treat yourself to an exhilarating workout in the elegant and spacious fitness center. The modern studio with wall mirrors and fitness monitors offers the latest power and endurance exercise equipment as well as personal training sessions on request.